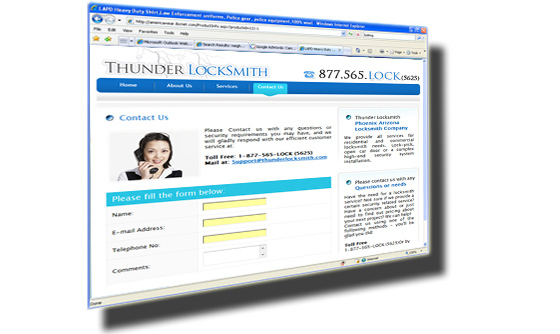 Thunder Locksmith is a Phoenix Arizona based locksmith service company providing local home/business security and unlocking services. 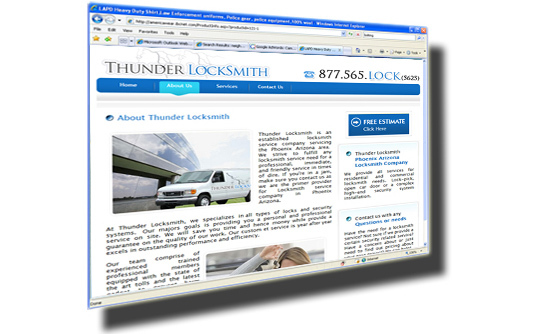 Thunder Locksmith needed a professional website reflecting their dedicated perfection for customer service and a source for generating new leads in the local service market. 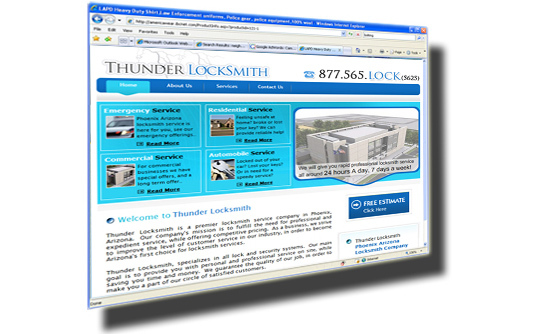 We used our web design and local search optimization services to enable this client's needs. HTML, Java, PHP, Flash, CSS.